On her 18th birthday she tells her mother she is being sexually abused. Days later her stomach explodes. Amy Oestreicher from Connecticut revealed a dark secret on her 18th birthday: she told her mother that she was being sexually abused and had been for six months. Amy's dream was to work in musical theater and she had been taking classes with a prestigious voice teacher who had taken advantage of her. While Amy was getting good grades in school and everything seemed to be fine, she was secretly being molested. However, before her mother had time to seek psychological help for her daughter, Amy began to suffer from a severe stomach ache. Her belly was distended, but the doctor assured her that it was just gas. But then Amy's stomach "exploded" in the doctor's parking lot. Just two weeks prior to her school prom, Amy fell into a deep coma. The doctors could not explain what had happened; they performed a life-saving procedure on her and found a huge amount of fluid in her stomach. Apparently her digestive system was "dead" and her intestines had turned black. Amy woke up six months later to terrible news: she no longer had a stomach and eating or drinking could literally kill her. 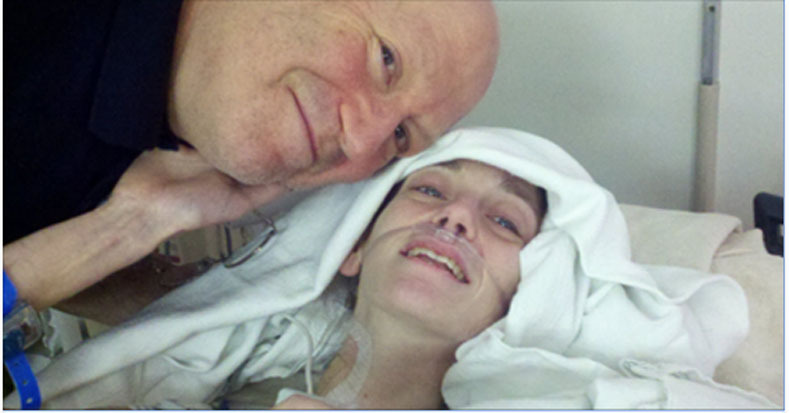 So six years went by, during which Amy continued to undergo operations with the hope she'd be able to drink and eat again. At the age of 20, Amy decided on a whim to audition for "Oliver" and she got a role! Things were looking up. One year after that, after her 13th operation, Amy was able to have her first bite of food in three years. She bit into a tasty waffle. However, her doctors told her she would only be able to eat once every couple of months. One day, six years after the operation that saved her life, Amy was really thirsty and chugged a bottle of water. Miraculously nothing happened. At last she could drink and eat normally again. And she also fulfilled a lifelong dream: Amy was finally able to star in her own musical in New York! Although she would regularly return to the hospital for checkups and procedures, Amy decided not to give up. She enrolled in college and signed up for a dating website. Shortly thereafter she met Brandon Thetford and only four months later they celebrated their wedding together! Today, Amy wonders what her life would have been like if her stomach hadn't exploded. She likely would have never met her husband or written her first play. After all, struggles can be the fruit of creativity. Bravo for Amy!